In the Pennine Alps, the Upper Valsesia Natural Park extends between an altitude of 900 and 4559 meters and is therefore, today, the highest protected area in Europe . Its territory, encompasses the heads of the Sermenza, Landwasser, Egua and Mastallone valleys, condenses all of the environments of the Piedmont's Alps : glaciers and moraines, high grasslands and shrubby areas populated with junipers and rhododendrons, forests of larches and firs, not as many oak trees and the beech wood trees are limited to Val Mastallone. The fauna is decidedly rich: ibexes, chamois and roe deer, marmots and ermines and above all the golden eagle make the Park the alpine point of reference of excellence for naturalistic tourism. There are many signs of human presence and ancient cultures that have evolved, first of all the Walser people that colonized the territory around Monte Rosa.The possibilities are numerous, thanks to the network of marked trails (the Park Agency, the CAI (Italian Alpine Club), the Alps' Great Crossing), to the presence of the many shelters, to the services provided by the Park Agency's operating management and to the other tourist agencies.  On the website of Parco Naturale Alta Valsesia you can download a free multi-media guide to install on your own PC which enables you to see the map of the region and the route and description of every walk. The files with the walks can also be downloaded onto your hand-held satellite navigator, providing you with both the correct directions and recommendations for the main points of interest.